Most people use a large number of skin and body care products every day. According to a study published in Journal of American Dermatology, over 60% of what we put on our skin ends inside our bodies. This should make you stop a think for a moment. When the products we use are made from harmful artificial ingredients, these toxins get right into our organs where they start harming our health. Not what you want, right? 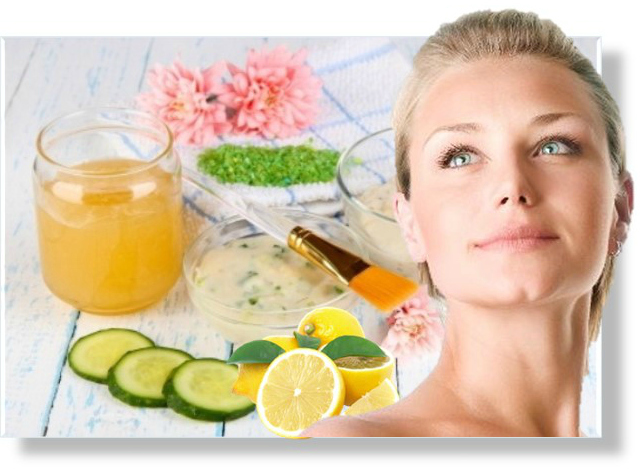 Such ingredients in beauty products place an unnecessary burden on your body’s natural detoxification processes as well as on your overall immune system. The organ that is most affected is of course your skin. Many chemicals found in body care products remain within your body for several months and in some rare case even years before they are depleted. But the issue of chemicals in beauty products goes far beyond your skin and even your whole body. You should keep in mind that toxins found in cosmetics will eventually end up in our soil and waterways, where it can further impact microorganisms and aquatic life. In most cases natural ingredients are much safer. Nevertheless, you should keep in mind that also plants can trigger unwanted reactions in some folks. Another issue remains that many ingredients labeled as natural have been chemically processed and thus their nutritional profile has been changed to an unrecognizable extent and the natural benefits to your body that they used to have has disappeared. To get the highest benefit from natural ingredients, the purest and most beneficial natural ingredients in personal care products have undergone marginal processing. For example, cold pressed extra virgin plant oils and steam-distilled essential oils are excellent ingredients to look for in products. If getting healthy skin is what you want then here’s a tip: steer clear of chemicals in personal care products and natural products with such highly processed ingredients as mentioned before. Instead you should stick to products that do not contain any toxins, but only natural ingredients that have undergone extensive safety testing. You will find a large number of self-proclaimed natural brands, but only few of them deliver on their promise. Instead of listening to their marketing claims read their ingredients and look them up in the EWG database. One example of a brand that does not use processed natural ingredients is Sunshine Organics. Another field to watch out for is household cleaning products. Even the most natural beauty products on the market that offer the highest benefits for your skin will not keep you entirely safe if you continue to expose yourself to numerous toxic chemicals from conventional household cleaning products. Surprisingly, dish soap is a product to watch out for. Pretty much all conventional dish soap formulas include toxins that can harm your and your family’s health. You should ensure that you keep substances like SLS away from your skin, your dishes, and your food. An all natural dish soap can help you maintain your and your family’s health. Take a moment to learn more in this short video and read this post on dangerous ingredients in dish soap.